Garden balsam (Impatiens balsamina): growing, planting, caring. A must-have in the garden for its flowers all summer long! 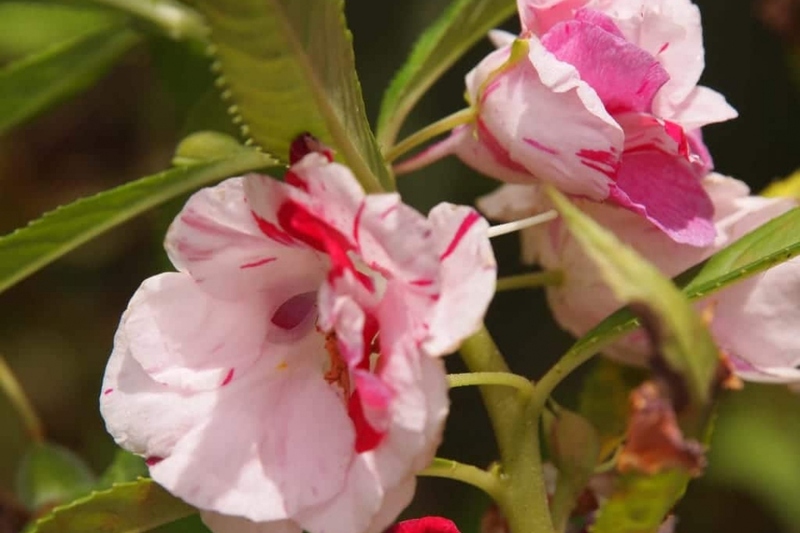 Impatiens balsamina - the garden balsam - is a species of Impatiens native to southern Asia. It is an annual plant growing to 20–75 cm tall, with a thick but soft stem, spirally-arranged, 2.5–9 cm long leaves with a deeply toothed margin and pink, red, mauve, lilac, or white, 2.5–5 cm flowers. For potted or garden crops, provide fertilizer for flowering plants once a week, from May / June to September. In open soil, it is not necessary to fertilize. Sow under cover in a filtered light, between 16 and 18 ° C, in a fairly rich soil. Water once a week. Plant the seedling between two and four weeks after sowing (as soon as the plant is sufficiently developed to be handled). Carefully separate the seedlings and replant individually in a bucket filled with transplanting soil, or a mixture of garden soil and well-decomposed compost. Water copiously at the plantation, then every day during the first weeks. How to pull off: for plants with superficial rooting, just shoot them. If not, help yourself with a spade. The garden balsam is rather greedy in water and appreciates to be in a ground kept still slightly wet but never soggy. For potted plants, do not let water stagnate in the saucer. Water sowings and seedlings in rain to not uproot them, being careful not to drown them either (make sure you use drilled pots). Once in open soil or in pots and well developed, the plants will accommodate with a watering jet or watering can, morning or evening. Inside, always be careful not to wet the foliage too much, it would promote diseases. Annuals multiply mainly by sowing, so consider harvesting the seeds in late summer, and sow them again in March.